Just on the verge of transgressing the point of adolescence, a daughter sees her mother. To a young woman who is trying to come to her own, the portrait of an overweight mother who has swapped her dream for leftover food from family dinners instills horror. Gina Kim, the director and the performer of this video diary piece, confesses that her own life may also not be an exception to this rule. Gina leaves home when she turns 22 because of the fear of becoming like her mom. In a strange land, she suffers from anorexia, something that is unfamiliar even to her. For 6 years, she obsessively documents her everyday with a video camera. This narcissistic communication simulates an equation between the subject and the object of the camera gaze, and the video also becomes as instrument that reconciles the "other-"ed gaze and one's own body. Gina becomes finally an adult by both accepting who she is and embracing her mother's miserable life. Through serene yet shocking images, the piece provides an unusual experience of looking at a woman's body that is starkly different from those of other conventional media. Gina Kim began as a video diarist, recording her experience as it happened, using a home-video camera. In the earliest of her works to be exhibited publicly, Empty House (1999; 24 minutes), Kim began to engage the issue that, more than any other, has informed her video and film work: the obsession of women with their bodies and their desire to come to terms with this obsession. Kim’s first major work, the personal epic Gina Kim’s Video Diary (2002; 157 minutes), is a subtle, often troubling, generally exquisite, surprisingly intimate, sometimes wildly narcissistic coming-of-age story. Focusing on what would normally be seen as minor domestic details, and confined to Kim’s small apartment and the seemingly insignificant actions that take place there, Gina Kim’s Video Diary tracks Kim from her arrival in Los Angeles, with fe resources, no friends other than her video camera, and virtually no English, through struggles with loneliness and anorexia, to her acceptance of her physicality and her potential as a visual artist. She also rediscovers the familiar heritage she hoped to escape by emigrating to the United States. 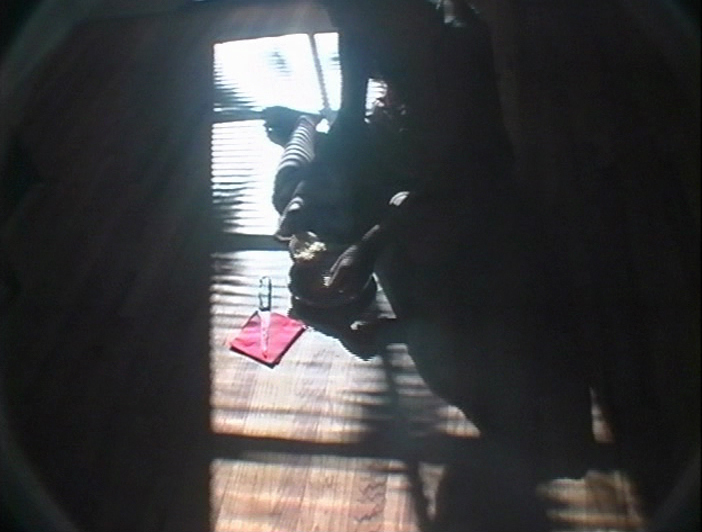 Gina Kim’s Video Diary is a major contribution to the history of personal documentary, as remarkable in its way as Su Friedrich’s Sink or Swim (1992), Ross McElwee’s Time Indefinite (1993). Alan Berliner’s Nobody’s Business (1996), and Jonathan Caouette’s Tarnation (2004). Divided into short vignettes, the brutally frank film (shot and edited by the filmmaker) documents Gina’s gradual mental decline and eventual recovery, charting a path from adolescent narcissism to an adult acceptance of herself, her body and, perhaps most importantly, her mother. All of the footage was shot in 1996-99 while she was in the US. Combining the best of video performance art with intimate home-movie diary, this self-documented coming-of-age story demonstrates how effective new video technologies can be for projecting the most intimate, confessional voice of a filmmaker. Just on the verge of transgressing the point of adolescence, a daughter sees her mother. To a young woman who is trying to come to her own, the portrait of an overweight mother who has swapped her dream for leftover food from family dinners instills horror. Gina Kim, the director and the performer of this video diary piece, confesses that her own life may also not be an exception to this rule. Gina leaves home when he turns 22 because of the fear of becoming like her mom. In a strange land, she suffers from anorexia, something that is unfamiliar even to her. For 6 years, she obsessively documents her everyday with a video camera. This narcissistic communications simulates an equation between the subject and the object of the camera gaze, and the video also becomes an instrument that reconciles the ‘other’-ed gaze and one’s own body. Through careful shot compositions, this extremely personal account of one woman’s fears, fantasies and projections provides the viewer with an unusual self-portrait that is deeply unsettling, moving and life-affirming.